Cleaning out closets and drawers is a necessary evil. Especially when you are preparing to move. I make notes on scraps of paper and stick them in drawers and forget about them. Some are mundane: an address or phone number; a note about work or a household chore. These notes stopped me cold. Seeing them again nearly two years later made the tears flow. I had jotted them down in a tiny notebook I carry in my purse, a habit from many years as a journalist. They were made in May of 2015 at St. Joseph’s Hospital in Lexington, Ky. while talking to a very honest and somber doctor who tended to my father when he came into the ER for shortness of breath. Fluid. Infection. Cancer cells. An oncologist. Neurologist. MRI. “I can’t tell you it’s cancer, but all signs point to it,” he told us. At that moment, all our lives shifted to focus on our patriarch. When the official diagnosis came a few days later it confirmed the early suspicions: stage 4 lung cancer. The kind that strikes non smokers. Non-small-cell lung cancer that had spread to the bone. My father did not want to know the prognosis in terms of time. The doctors respected his wishes. They ran tests, treated a mass on his spine with radiation and developed a treatment plan that included Tarceva, an oral medication taken by some patients if they are fortunate enough to be a genetic match. Thankfully, my father was a match. As a result, he was spared the suffering and side effects that often accompany chemo. Watching my father died was like witnessing faith in action. For decades, he’d been a Sunday School teacher, a deacon in his church and an attentive husband and father. He prayed daily and studied the Bible often. He openly shared his faith with anyone who would listen, including a chaplain who came to his hospital bedside to offer words of comfort the day before he died. As he dealt with cancer, he continued to be the leader of our family — constantly calling or texting to check on how we were doing. After he and my mother settled into their routine of doctor visits and monthly treatments and tests, they slowly resumed their normal activities: dinner at Red Lobster; church; visiting family and friends, and tending to their grandchildren. Daddy was not interested in all the internet research my siblings and I were doing about innovative therapies and alternative medicine. He agreed to come to Emory’s Winship Cancer Institute in Atlanta for a second opinion but was opposed to any experimental treatments or trials. In his case, none were offered because he was responding well to the Tarceva. Fred Duerson simply wanted to live the remaining days of his life as fully as possible. He took great joy in seeing his youngest granddaughter become a pharmacist, the first doctor in our immediate family. He relished being able to attend my retirement party and one last family reunion in July of last year. Then one August eveing a few weeks after his 80th birthday — in the same hospital where we received that initial news — he died peacefully with his family by his side. Not a day goes by that we don’t think about him, talk about him, miss him deeply. Grief is funny that way. Many days you feel fine. On other days it’s all you can do to get through. Faith-based grief counseling helped put my father’s life and death in perspective. Our loved ones are not our own. I like to picture Daddy in heaven, reunited with his parents and siblings. Free of all pain. The notes I found in the drawer the other day reminded me of the short, sweet text messages he sent to me during the year after his diagnosis. Hello Angela, how are you doing today? On some days, the message was a passage of scripture meant to encourage me. His favorite was Psalm 27. This Psalm of comfort is a great reminder of God’s love for us. We can rest on his promise that no matter what happens, his presence is a blessed assurance. Dr. Bernard LaFayette led Dr. Martin Luther King Jr.’s Poor People’s campaign to fight povery in 1968. He was a 1961 Freedom Rider and one of the leaders of Selma’s voting rights efforts, which led to the passage of the Voting Rights Act. Dr. LaFayette has taught Kingian nonviolence all over the world. He lives in Atlanta and Tuskegee, Ala.
Back in the day, when ministers, maids, college students of all races and Jewish sympathizers boycotted buses and staged sit-ins at lunch counters, department stores and movie theaters, they had a plan. Part of that plan was disarm their detractors and win over their would be oppressors, says Dr. Bernard LaFayette, who led Dr. Martin Luther King Jr’s Poor People’s campaign in 1968 and the Selma voting rights movement among other social justice efforts. Dr. LaFayette makes a strong argument that the Talladega College band — which accepted an invitation to march in Friday’s inauguration parade before Donald Trump was elected president — should take part in the parade, rather than boycott it, as some alumni have suggested. In a recent interview on “The Tom Joyner Morning Show,” Talladega College president Dr. Billy C. Hawkins said several individuals and groups had stepped forward to donate money to help the band pay for the trip to Washington, D.C. Students at the small private college in Talladega, Ala are anxious to show the world their musical talents, Hawkins told Joyner. Joyner established The Tom Joyner Foundation, a Dallas-based non-profit organization which raises money to send students to historically black colleges and universities. “You don’t have to agree with the president, but we agree that we need the presidency. It doesn’t mean they agree with everything Trump stands for. Heaven gained an angel on Sunday, and our church family lost a dear friend and quiet leader. I’ve known a lot of first ladies in my time, but Mabel Jean Lockhart was different. Sure she wore the beautiful church hats and suits that most first ladies are known for but what stood out about her was not her outer beauty or regal bearing. This woman was a nurturer in every sense of the word. She possessed a quiet strength that may have caused some people to underestimate her power. Sister Lockhart didn’t preach alongside her dynamic husband. In fact, it was rare to hear her speak in church. But get her alone and she would give you an earful. A devoted, wife, mother and grandmother, we shared some special conversations over the years. In most of those chats, she was encouraging me in my journey as a wife and mother. I’m sure she did that for countless women, men and children in our church and beyond. We became grandparents around the same time nearly 10 years ago, meeting the birth of our grandsons with great joy and pride. Whenever we talked, our conversations always turned to our children and grandchildren. She loved her family in a way only a mother can. 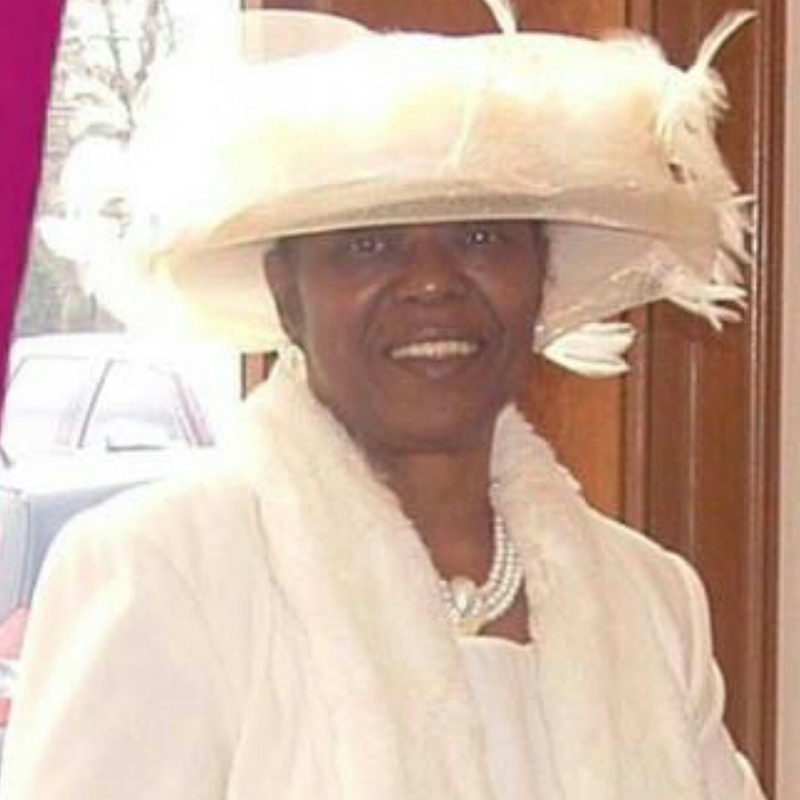 Her love for her husband, Pastor Benjamin Lockhart, and his love for her, was a great example for our church family. He often called her his peacock, but she was his partner in every way. Her strength and passion for the word of Christ girded him for servant leadership. From her pew on the center right side of the church, she watched everything that happened. Fiercely protective of her husband, particularly as he dealt with his own health challenges, she was always quietly directing. When he went a little too far, or did a little too much in worship, her expression told him it was time to calm down — to take his seat and rest for a while. In those times, a smile would cross my face. Like me, she wasn’t good at hiding her true feelings. You always knew where she stood. I will always remember our last conversation, which took place about a month ago when my husband Joe and I stopped by to visit her at her home. We talked about the return of her cancer and my father’s recent cancer diagnosis. She made it clear to us that she was doing just fine because her soul was anchored in the Lord. We looked at old photos, chatted and laughed. We prayed for peace and strength. That day, as always, confidence and assurance radiated from her being. While Illness may have taken over earthly body, her soul was at rest. In times of trouble, our faith is what grounds us. Our dear first lady knew that well and spoke it boldly. She is safe in the arms of her father now. No more pain, no more suffering. God has a way of putting us where we need to be to receive the message we need to hear exactly when we need to hear it. That’s what happened this morning when my husband and I decided to worship at Ebenezer Baptist Church instead of attending our own church. Rev. Natosha Rice delivered a word from the Lord that encouraged us to keep pressing forward in the midst of what has been a Job-like season for our family and friends: lung cancer, leukemia, prostate cancer. And just as one friend was recovering from surgery for prostate cancer, he was hit last weekend by a tow truck driver while riding his bicycle. In the midst of it all, we know in our hearts that God is in control. Yet in those quiet times — often in the midnight hour — fear and profound sadness creep in. Rev. Rice shared with us the beautiful story of the devotion and faithfulness of Ruth toward her mother-in- law Naomi. When Naomi’s husband died, this woman who was admired by many lost her identity and became mired in depression. Later, her two sons — who were married to Ruth and Orpah — died; leaving the three women alone. Naomi told the younger women to return to their homelands because she had been foresaken for God. Orpah left but Ruth stayed with her mother-in-law. She reminded Naomi of the woman she used to be and encouraged her to work through her pain and get back to her old self. Rev. Rice talked about the power of their relationship to make the point that we need to be our brother’s and sister’s keeper. Yesterday I was blessed to celebrate a friend’s 60th birthday. For the last five years this friend has been faced with a huge test. In the midst of her husband’s health crisis, which has forever altered their life together, she has remained steadfast in her faith. 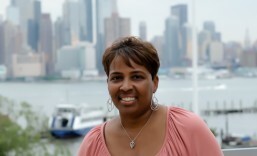 God has allowed her to retire from her job, care for her husband and see her daughters marry the men of their dreams. She has watched her husband undergo a bone marrow transplant with cells donated by his eldest daughter. My friend has been faithful in her Job season. She truly believes that the best is yet to come because of her relationship with God. Her children have risen up and called her blessed. Her friends and family marvel at her resilience. Her husband adores her. Best of all, God is well pleased, as he was with Ruth — who was blessed with another husband, her Boaz. Change comes to all of us. As I reflect on the valley my family finds itself in I am encouraged that my father is facing cancer with peace and clarity. I am thankful that he is free of pain. In our seasons of change we must hold fast to God’s unchanging hands and trust his will for our lives. We must trust and believe that our best days are yet to come. Three people died in a Louisiana movie theater tonight. The actions of another crazed gunman are being analyzed on CNN. A black woman died in a Texas jail cell under some very strange circumstances. People want to know how and why. I’ll leave those questions for others to ponder. I am sad about these things, but I can’t fully process them. My mind is consumed by the cancer that is consuming my father. It is moving fast and he is standing strong. Me? Not so much. I cry at the drop of a hat. In a store. On the phone. In the middle of the night. My prayer is that God continues to strengthen my parents, my siblings, the grands and our spouses for this journey. We are in this together; but some days I feel so alone. I thank God for friends — old and new — who have been amazing in every way.They have recommended treatments, doctors, brought casseroles, peaches, watermelon, cake, you name it. They have prayed with us and for us. They have delivered flowers and fruit to my parents’ doorstep. They have delivered flowers to me. They have listened as I wailed into the phone. They have texted, sent Facebook and Instragram messages, sent scriptures, books and frames. I am overwhelmed by their thoughtfulness. Thankfully, he is not in pain and his spirits are good. Like Job, he will trust God — just as he always has. When our family gathers in Atlanta this weekend for our 57th annual reunion, it will be bittersweet. For the first time in decades, my parents won’t be there. But their grandchildren have hatched a very cool idea. So get ready Mom and Dad. We will have a great reunion and you will be a part of it. Family love and unity. Nothing else matters. I will never forget that rainy, cold day in October, when my then 3-year-old son and I arrived from Atlanta to the Memphis VA hospital purposed to drive my father back to Mississippi from a doctor’s appointment.The ride was unusually quiet as we always had great talks whenever we were together. The silence was finally broken when I asked, “So what brought you to the VA hospital?” He turned and looked at me as though I suddenly made an animal-like metamorphosis back to childhood when children were seen, but not heard! “Well you know these doctors tell you things, but they really don’t know,” he responded. Then the silence resumed. Neither of us really said anything further as I actually began to take on the child-like transition during the remaining 90-minute drive. Even my normally precocious son remained quiet. Immediately, my heart sank in disbelief as I nervously thumbed through the brochure. How could this be? Why is this happening? When? Is this his way of telling me this news? All types of emotions raced through my mind. My return to Atlanta began with a new spiritual change in my life. The thought of this “Daddy’s Girl” losing the first MAN she’d come to love and admire was quite devastating. However, God intervened and let me know that my first love should always be the Love of Jesus Christ. Our carnal hearts and minds would have us to rely on man for consolation and even place our dependency on things or people that we can see or touch.God let me know that His unconditional love will see me through even the hardest things that I will face in life — even Daddy’s colon cancer diagnosis! Emily is a wife, mother and writer living in Atlanta. She is a native of Mississippi and a graduate of University of Mississippi journalism school. Her father, James A. Gelleylen, died of colon cancer in 1988. Cancer, meet my father. He is not afraid of you! 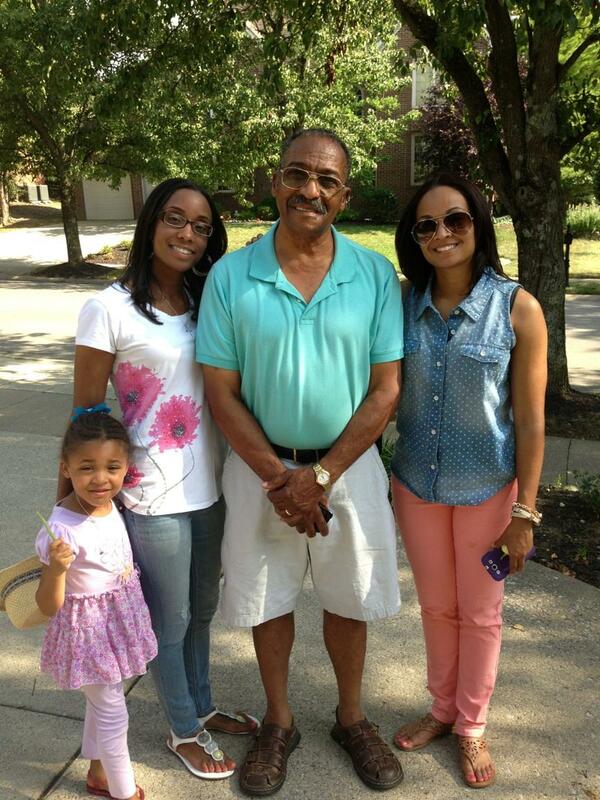 My dad, with granddaughters Kristen and Megan and great grand Lena! You have visited the bodies of my friends and family on several occasions in your many ugly forms. Bone cancer. Breast cancer. Prostate cancer. Leukemia. You have caused hair loss, nausea, fear and longing for better days. You have brought about destruction, pain and death. You come and go, creating havoc in the minds and bodies of so many loved ones in so many families. But guess what? 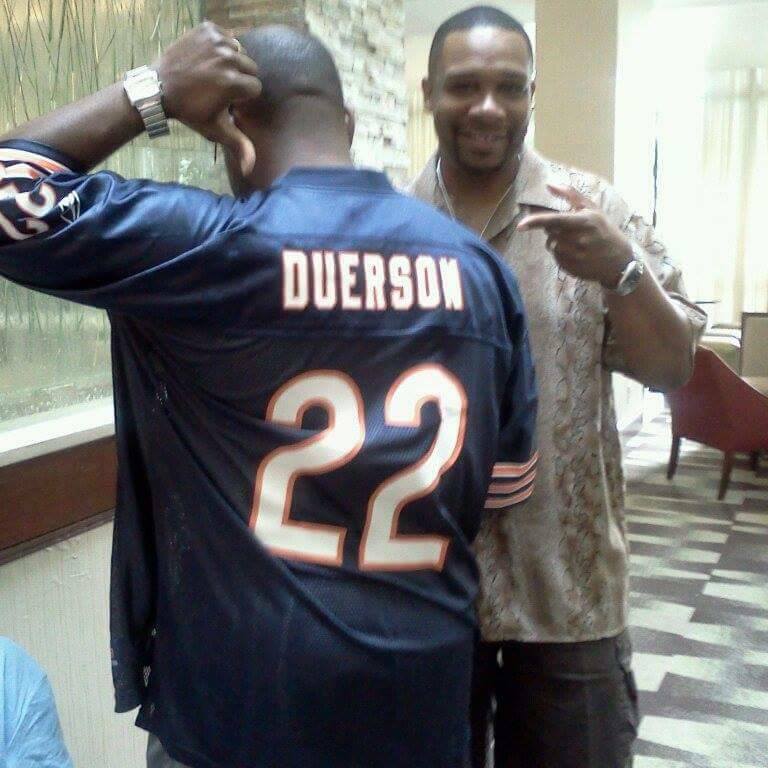 Fred Duerson, is not afraid of you. It’s true you have invaded his body. But you will not get the victory over his mind. You see, my father is a man of great faith and discernment. He will listen to the oncologists, radiologists, neurologists, pulmonary doctors and whoever else enters his life during this season. He will hear their prognosis and will begin a treatment plan prompted by your existence. Yet my father, mother, siblings, family, friends and I will continue to speak life into this situation. We will touch and agree that whatever God’s will for his life, it will be done. 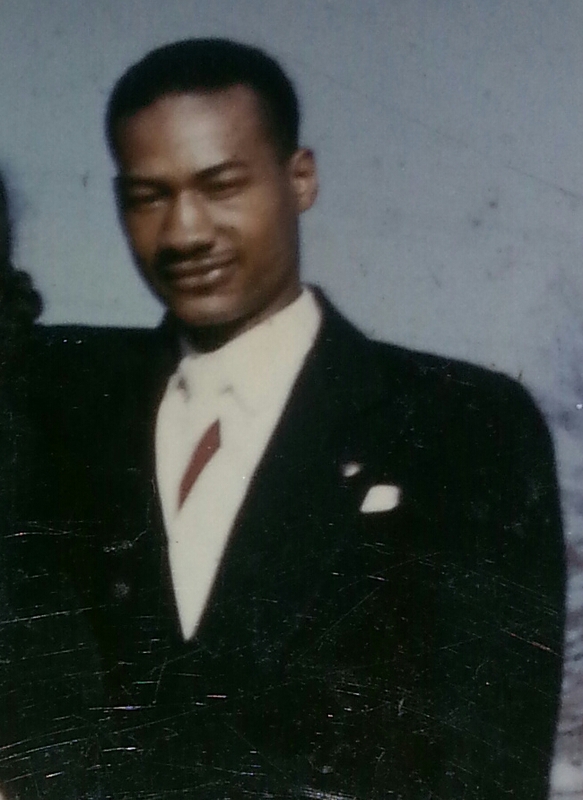 Let me tell you a few things about this man we call husband, father, Paw Paw, Uncle Fred and friend. He is loved because of the encouragement, faith and compassion he exhibits daily to family, friends and strangers. He knows that when God is in it, there is no limit to what can be accomplished. He is a husband of 57 years, a father, a grandfather and great-grandfather who has lived a life of faith and purpose. He is a Marine, a deacon, an uncle, a brother-in-law, a father-in-law and friend to many. His wife is just as strong as he. Trust and trust and believe, you don’t want to be on bad side. You can attempt to crush his body but you won’t conquer his spirit. So, give it your best shot, cancer. Everything will be new again in the morning.